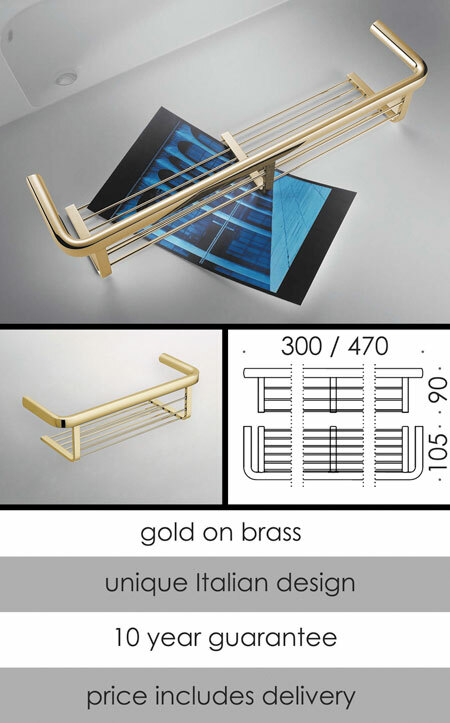 A luxury quality Italian shower basket that is finished with a beautiful gold plated finish, onto a superior brass body. This storage basket is part of a larger gold bathroom accessory collection, allowing for a fully matching gold themed bathroom. * Gold on brass construction.